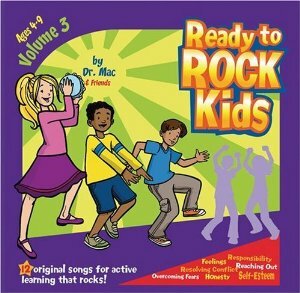 Kids (and adults) will have fun with music for singing along and building social skills. These musically sophisticated and professionally produce songs feature children and adults singing original tunes about diversity, kindness, overcoming fears, responsibility, self �esteem, and a lot more. The creator and producer is Dr. Mac (a.k.a Don R. MacMannis, PhD), a child psychologist, teacher and award-winning songwriter. His credits include writing and directing music for the PBS hit, Jay Jay the Jet Plane. His fun-filled music provides children with the building blocks to happiness and success.